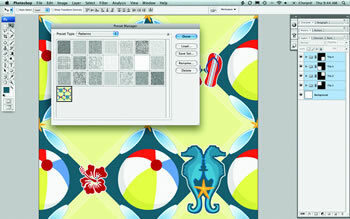 Create your own cool repeating patterns from combinations of vector elements, using these tips from Hero. Our world is filled with patterns – from ripples in a sand dune and scales on a snake to furniture and fashion – and even the tiling photos of sleeping cats that flood the background of some of the folksier blogs. As designers and as artists we use patterns in a myriad of ways: they can add texture, communicate themes, fill negative space and include text and imagery that speaks to the design’s intended audience in a subtle but unmissable manner. 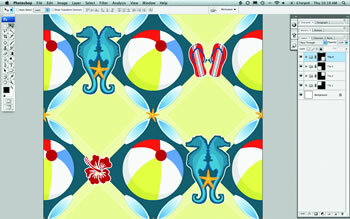 In this tutorial, Drew Cain shows how to create a complex, surf-themed repeating pattern in Photoshop, using sourced images and a series of vector graphics created in Illustrator. 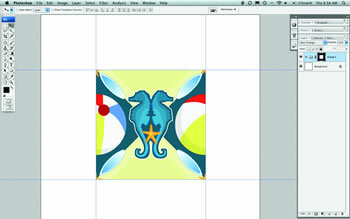 Using vector objects rather than creating elements in Photoshop gives you unlimited resizing and smart-object editing. 01. 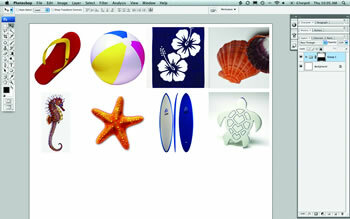 Prepare the project by choosing a theme for the pattern and creating a list of items that should appear in that theme. 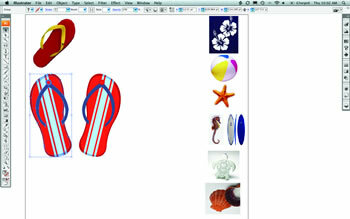 Here we’ll use a beach theme, so assemble things like flip flops, sea horses, starfish, beach balls, Hawaiian flowers and surfboards. It’s always helpful to gather reference photos to aid in the illustration process. 02. 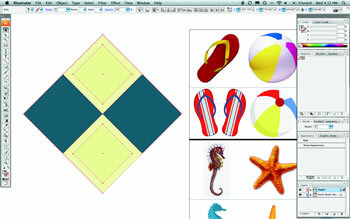 Import the reference photos from the cover CD into Illustrator and create simple (or complex) versions of each. Creating all the objects in a single Illustrator file will allow you to keep the style and colour scheme of the objects similar. 03. 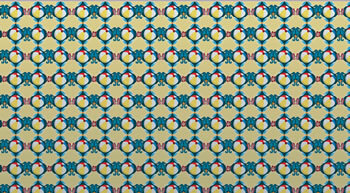 Give some thought to the pattern’s background, as this will set the stage on which to organize the objects. 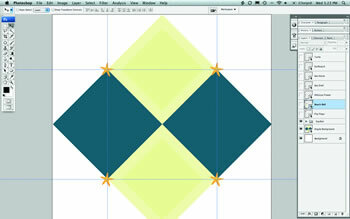 We’ll use an Argyle pattern; to keep things clean, consistent and vector, knock together the diamond pattern in Illustrator. 04. Open a new document in Photoshop. The pattern we’re creating will have four sections with repeating corner pieces and alternating centres, so I’ll create a nice large document 900-x-900 pixels. Because all our work will be done with vectors, the resolution of the document isn’t important. 05. 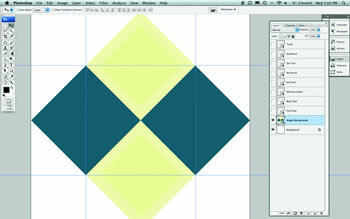 Begin by creating a single tile in the centre of the canvas. This will allow you to set up the elements on the corners easily. Make a selection with the Rectangular Marquee tool in the middle of our document measuring 450-x-450 pixels, and place guides at each edge of the selection. 06. 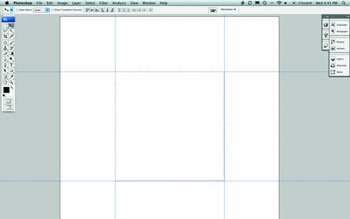 Arrange your workspace so you can see both the Photoshop and Illustrator windows at the same time. Drag each vector element (one at a time) from Illustrator to Photoshop. This will create a Vector Smart Object of each item on its own layer. These objects can now be resized an unlimited number of times without any loss of quality. 07. The Argyle swatch will be the starting point of this pattern. 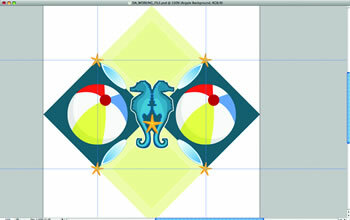 Move it to the bottom of the layer stack, just above the Background layer. 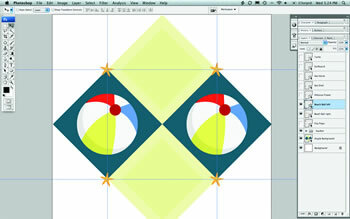 Press Cmd/Ctrl + T to invoke the Free Transform tool and resize it to fit perfectly inside the guides, with each colour intersection aligning with each guided corner. 08. To avoid distraction, hide all the other objects and, one by one, expose and place them onto the stage as desired. The starfish shape will make a nice corner element, so drag it into place. 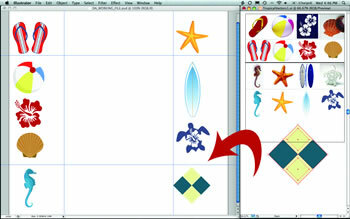 Turning on the Show Transform Controls feature in the Move tool options bar at the top of Photoshop makes this easier. 09. Duplicate the starfish by pressing Cmd/Ctrl + J, and move it to the next corner. Repeat this step a further two times until you’ve got starfish at each corner of the pattern. It is important that you don’t rotate or transform the starfish as you move them because if one corner is not identical to the others it will show in the repeat. 10. Next, add the beach ball as shown here. It’s important to remember that any element placed straddling the guide at the edge of the pattern will need to straddle the opposing side equally, like the beach ball does in this step. Notice that what is outside the guides on the left is inside the guides on the right. 11. 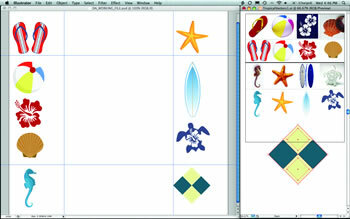 Continue the process of adding in elements, until a complete tile has been created. I’m going to have a double repeat of my seahorse tile, so I created this one to completion before duplicating the tile to ensure that both tiles would be identical. 12. Once the first tile is complete, select all the layers except the background layer – including hidden ones – and press Cmd/Ctrl + G to group them together. With the group active, make a selection of the 450-x-450-pixel guided square, and add a layer mask to the group. 13. Press Cmd/Ctrl + H to hide the guides, and move the tile group to the upper left-hand corner of the canvas. Duplicate the group three times, moving each new duplicate to its own corner. Ensure that all four groups line up perfectly with the document edges and with each other. 14. With all four tiles in place, swap the centre content of the upper right and lower left tiles to create more interest and variation, by using the hidden vector pieces in each group. 15. Select all the group’s Layers palette and choose Edit > Define Pattern from the main menu; name the pattern and click OK. Open the Preset Manager (Edit > Preset Manager), choose Patterns, select the pattern and choose Save Set to create a new .pat file of the pattern. Instead of using the keyboard shortcut Cmd/Ctrl + J next time you want to duplicate an active layer, simply hold down Option/Alt and click and drag your object to a new location on the stage. 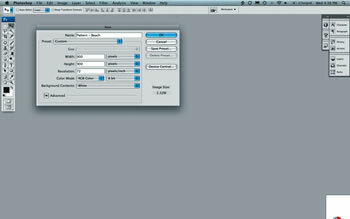 Photoshop will automatically create a duplicate, placed on its own layer. Who: Surfer, photographer and graphic designer Hero splits his time between the waves in Southern California and the snow in Northern Utah. When not riding boards or taking pictures, he writes for his Photoshop tutorial Web site, http://pshero.com. 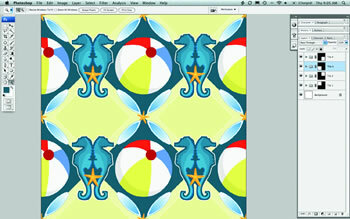 On the CD: All files for this tutorial can be downloaded here or are available on the cover CD.